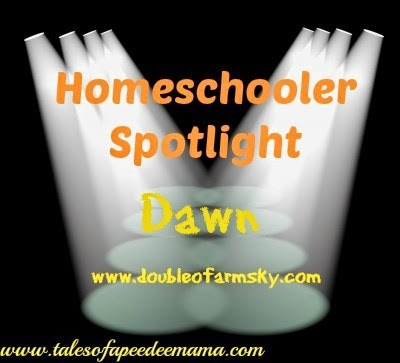 Dawn Oaks is a farmer's wife and homeschooling mom of 4. She loves reading, checking out new curriculum, growing much of her family's food on the farm, and working with clients in her holistic health practice. She blogs about many of these experiences at Double O Farms. In now being in our 9th year of homeschooling, I have really come to the realization that whether we are new to homeschooling or veterans, it is so easy to let the Mommy guilts and worries begin to control our days, schooling, and parenting. Moms are already so great at worrying. They worry that they are not pushing their children to achieve their best and then turn around and feel guilty over not incorporating more fun things into their schedules. Moms can be such experts worrying about how to teach Precalculus in the 11th or 12th grade when their children are still learning their first five numbers in preschool. We worry that we are not focussing enough on academics, but then stress over how much time school takes and how little life skills our children are learning. All of this is so commonplace before even considering the pressure we put ourselves and our children under in having to prove that homeschooling is a viable and credible alternative to other educational venues. Afterall, aren't all homeschool students supposed to be the next Albert Einstein?? Relax, Momma! Do You really trust God's Word? I have come to realize that God gives us today. The bottom line question is whether I have chosen for today and today alone that His grace will be sufficient. The choice is not whether His grace is really sufficient, because it always is. The question is whether I am going to trust in that. So many days, my measuring stick of God's grace is whether I have gotten everything on my to do list done, whether the kids have gotten along like siblings that actually love each other, and whether I can actually see progress being made in math skills or reading ability. But this is not God's yardstick for measuring success. Our success as His children is when we plan our course, but allow Him to determine our steps each hour of the day. Many days this will mean finding joy in all of the adjustments and looking for His hand in the hardships. It is not about how close we came to getting everything done that we set out to do. I have talked with my children about what makes a great role model. What should they look for when seeking an older person to emulate? I have always stressed to them to look for someone that does the right thing morally when they think no one is watching and to also consider how the person responds when life doesn't go as planned. Sounds really good until I start looking at my own grumbling and complaining when a curve ball comes my way. How about you? God promises that His grace is sufficient. I find myself needing a mind shift from seeing God's grace as the woodfiller that fills in the flaws and cracks to being the very basis of my life for which I rejoice when I can see that I have been open and accessible enough to be used in any small way by Him. On those days when an extra measure of grace is needed, I rejoice in knowing that God is greater and more powerful than my worst mistakes in seeing His plan for my children fulfilled in spite of me!